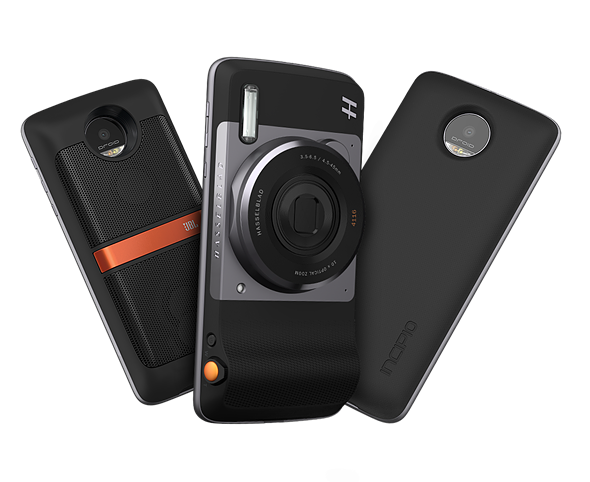 Motorola has big plans for Moto Mods—the company’s snap-on accessories for the modular Moto Z smartphone. The company recently showcased some new Moto Mods at an event in Ghana, and according to TechDroider they included a 360-degree camera mod and a ‘DSLR’ mod with interchangeable lens support. Assuming the 360 camera mod leak shows the actual product, the Moto Mod will feature a dual-lens camera module attached to the top of the Moto Mod, which itself attaches to the back of the Moto Z smartphone. 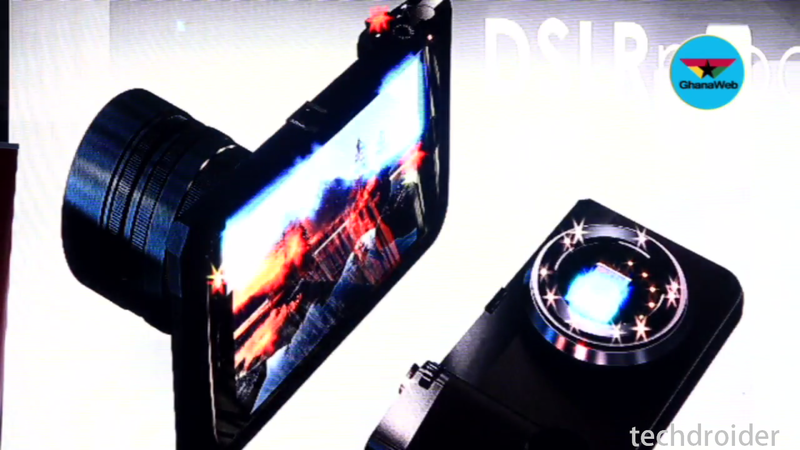 The ‘DSLR’ mod is a bit more of a mystery, appearing in one very rough photo from TechDroider as a Moto Mod with a mount for attaching removable lenses. No further information about either mod—including specs, pricing or availability—are known at this time, but we’ll keep you updated. Chances are good the products won’t stay exclusive to the little country of Ghana.